Dr Luke Raggio offers friendly and professional chiropractic care using the ‘best of the best’ chiropractic techniques. Dr Luke Raggio is family focused and can provide his services to babies, children, pregnant mums, the elderly and anyone in between. Dr Luke is ably supported by our experienced Chiropractic Assistants: Karen and Chris at Gawler and Naomi and Leslee at Clare. You can find our friendly chiropractor and his staff at either of the following 2 convenient locations: Unit 4/4 Seventh Street, Gawler South, SA, 08 8523 2733, or 14 Gleeson Street, Clare, SA, 08 8842 1930.. 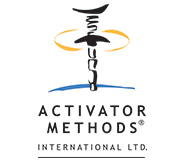 The Activator Method Chiropractic Technique (AMCT) is a chiropractic technique and device created by Arlan Fuhr. Used by Dr Luke Raggio, it provides an alternative to manual manipulation of the spine or joints. The handheld device is generally regarded as a softer chiropractic treatment technique where small, spring-loaded instrument delivers a small impulse to the spine. The aim is to produce enough force to move the vertebrae without causing injury. The AMCT involves having the patient lie in a prone position to compare the functional leg lengths — often one leg will appear slightly shorter. The chiropractor then carries out a series of muscle tests in order to activate the muscles attached to specific vertebrae. If the leg lengths change, it indicates a problem located at that vertebra. The chiropractor then treats any problems found this way by moving along the spine, starting at the feet.